Introducing our NEW Headhunter UNDERWATER! Also available with the optional NEL 12" DD coil! Three-knobs, turn-on and go simplicity, electronics inside the integral waterproof headphones. Rugged simple, yet powerful. Why Buy Our NEW Headhunter UNDERWATER? Adjustable lightweight design is perfect for the most demanding water & land hunter. 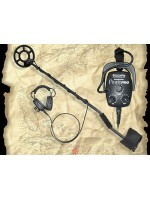 The entire detector is waterproof up to 100 feet. 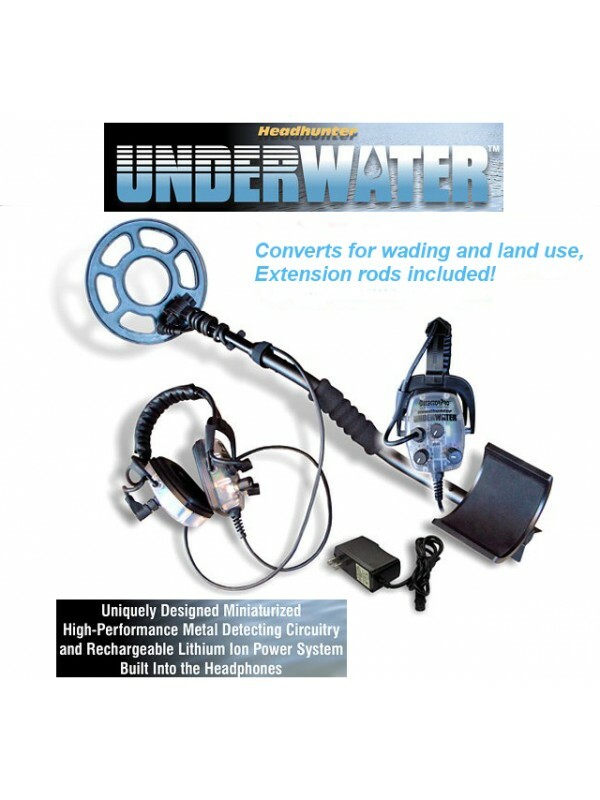 Beach, wading and submerged... UNDERWATERTM does it all. Easy to assemble and disassemble. 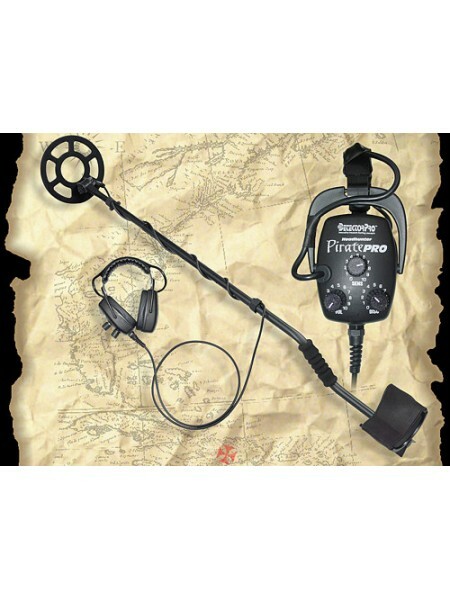 Whether sailing the high seas or driving to your favorite spot, the Headhunter UNDERWATERTM stores almost anywhere making it the perfect traveling detector! Submersible: Waterproof to 100 ft. 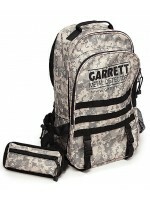 Length: Diving Configuration: 27 to 53"/ Wading Configuration: 43 to 53"
Weight w/Integral Battery: 3.5 lbs. 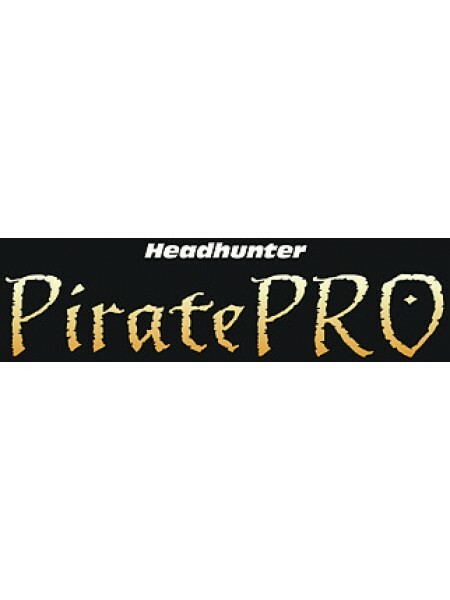 Introducing the NEW Headhunter PIRATEPro! All the great features of our already popular Pirate with an added sensitivity c..